These are all very nicely done. 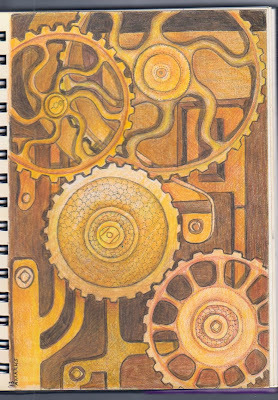 I especially like the cogs = Steampunk. 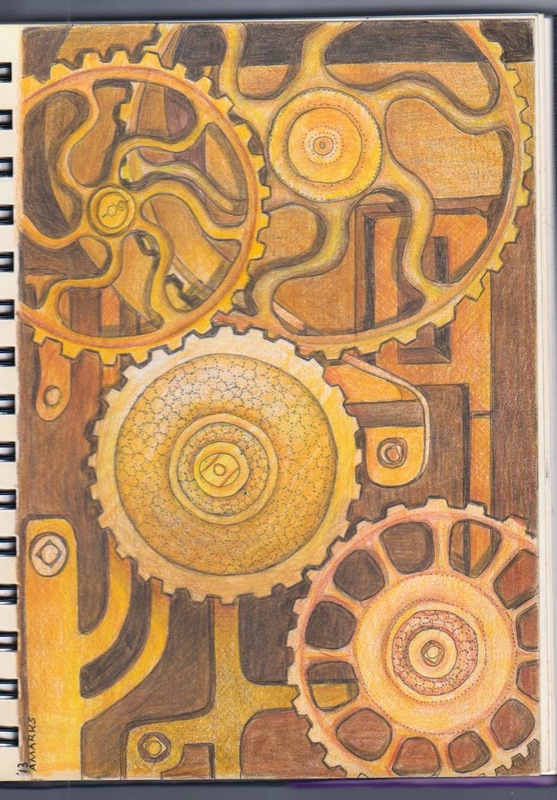 I am so into Steampunk and love to combine that with Zentangle. I like your tiles and the cog wheels too. 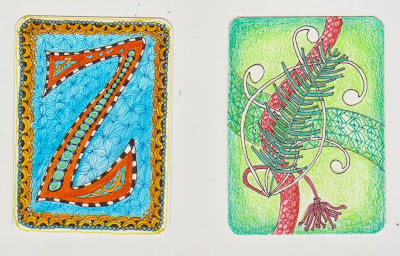 There is a facebook group started by Cathy Wilson - Zentangle Artist Trading Cards. It is a really great group and I have been enjoying my time with it - only 2 swaps so far for me. I would love to see your name in the list - I so admire your work and would love to have the chance to "own" some of it. I've been doing Zentangle and ATCs for quite a while and will be happy to exchange ATCs with you on a personal basis. Get in touch if you are interested. My email is stainback.sarah@gmail.com. I live in the USA, and view your blog every time you post. Beautiful work - love the cogs - always enjoy seeing your work. I love your sweet ATC cards and evergreen bough is wonderful!